Earlier today I read a DailyKos publication titled “15 things everyone would know if there were a liberal media” by akadjian on August 7th. Although I don’t necessarily agree with the authors indication that all the 15 items are not covered in the media – as I have seen a few of them covered quite a bit – I did like the easy, straight-to-the-point figures and facts provided. So, thought I would share a few. The site link will be available at the bottom of this page if you would like to read the entire article in DailyKos. I do agree that this topic is not covered enough in the news, nor is it brought up by Democrat politicians very often. This really is a topic every Democrat – and Republican for that matter if they truly care about their voters – should be screaming about at the top of their lungs. 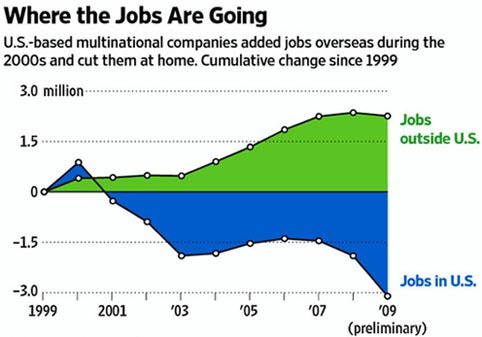 We have a jobs problem not solely due to the economy, but because millions of jobs are going overseas. Millions! With the Occupy Movement, this was all over in the news, but has died out since then. I do still hear this brought up by Obama and his staff occasionally. Especially during the election. This is most definitely not covered in the news… and it really needs to be brought to everyone’s attention. This completely sickens me and every citizen should be ashamed of our country on this topic alone. The problem is most people brush off cons and ex-cons like they’re scum, and just don’t really care about them. “They deserve(d) to be locked up.” In reality, most of them do not. 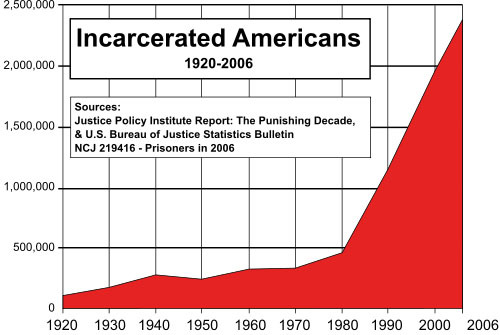 The private prison industry has done a frightening job at lobbying and padding wallets in order to pass bills and laws that are purely to help increase the prison population. I keep telling people not to be surprised if in the near future, having (for example) five unpaid parking tickets will require 90 days locked up – and will be in a privately-owned facility. Cha-ching. The title says it all. And no, not covered in the news. I cannot stop shaking my head about this one. The Republican Party apparently likes it this way as they so badly want to repeal the first act that has come along in decades which will help get the rising cost of health care under control. Our media does need to compare our healthcare to other countries world-wide, especially against the successful countries. 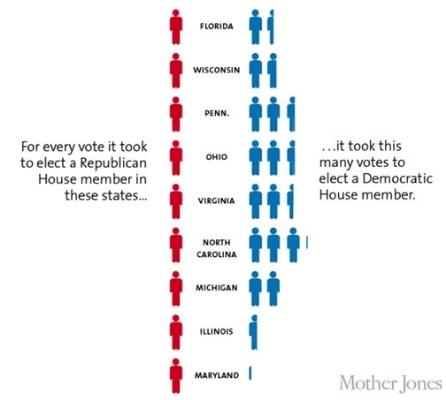 The redistricting within states so that the Republicans are able to win a majority of districts. Personally, I think this should be illegal. There is nothing fair nor right about this at all. Each district should be a fairly equal amount of registered Democrats and Republicans. I will agree that this does need to be covered in more detail in the news. 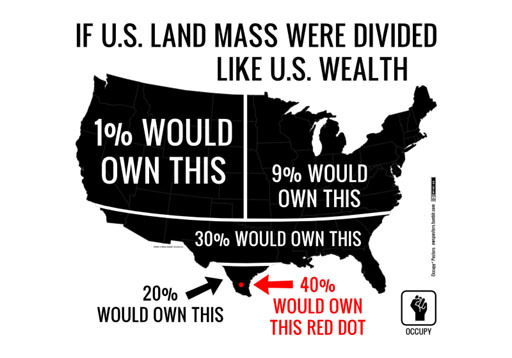 Infographic below via Mother Jones. More proof that most of the Repulicans, and the party as a whole, just do not care about the welfare of Americans. Actually, this is a new stat that I had not seen. It’s a fact I was slightly aware of, but I will agree, there is little to no news coverage about this. I have seen this stat before, but I do not expect to see this covered in the main stream media at all. No one wants to bite the hand that feeds them. This is a very frightening statistic because there will be more and more control of the news as these monoliths of media devour up the independents. Six corporations – Time Warner, Disney, News Corporation, Viacom, Comcast, and CBS – control roughly 90% of the media in the U.S.
Motley News Passes 2 Million Hits! Most of what I know about these issues I found out watching documentaries or public television. Outlets like Fox must promote the idea of a ‘liberal media’ so they can blame them for things like Romney losing, saying the liberal media didn’t give him enough coverage. Ha! I’m glad you brought up the subject of bee hive collapse. In a documentary about that, it was pointed out that if bees become extinct, the human race will follow in about four years. Although I fear being stung, I treat them with the utmost respect. We will. I didn’t mention that in my post only because I wanted to stick to political numbers. But it is worthy of writing about separately. So many people just cannot understand how crucial a couple species of insects can be. Wow, I knew the control of media was becoming concentrated in the hands of just a few corporations, but I had no idea it was so bad! On a different subject, did you change your font? I like it! lol… yes. Just did. I finally took the time and figured out the TypeKit font deal. Not as straightforward as I thought it would be, but I eventually figured it out. I’ve been using TypeKit for several years now. Fun having more options, although I’ve only got the freebies. Fertigo is one of the ones WordPress offers, but maybe not in the weights or variations you want. Been thinking about a change myself, if I can find something I like better that’s free.